Make a Gift to Dr. Duke & His Vital Work! Dr. Duke a former member of the Louisiana House of Representatives-LA and also served as the elected Chairman of the largest Republican District in Louisiana. His youtube videos and interviews have had countless millions of views all over the world and get an over 90 POSITIVE rating from viewers. His books are in over 20 languages and loved by hundreds of millions worldwide. He is also a world-renounced academic who lectured at universities throughout the world has fought for free speech and academic freedom through Classic Academia. 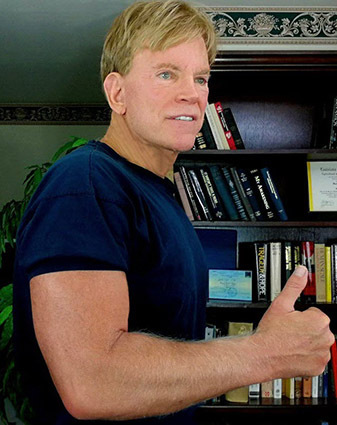 Yet, today there is a massive effort to silence him, and everyone who listens to his radio program and reads his books knows well that the caricature of him presented by the controlled media is not Dr. David Duke. 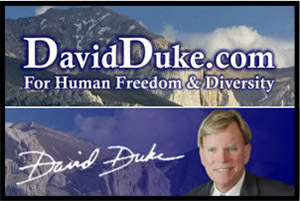 So they have no choice but to try to silence him so you want hear the real David Duke. Why is he so hated, because he defends the principles of human rights for all people, and that includes the human and civil rights of European-Americans. 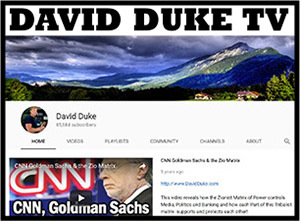 No one in the America or even the world has done more to defend our Western Civilization, Freedoms, and the rights and heritage than Dr. Duke. He has also been the most powerful and eloquent critic of the Zionist State of Israel, and he has dared to speak the worldwide, ZioEstablishment’s paramount role in both the wars for Israel in the Mideast and the destruction of the West. But, powerful global ZioMedia and Zio political influence have now launched an all out war to silence his work. They have been able to ban his books and videos in many nations, demonetize his videos. They have even violated laws restricting commerce and worked to keep people from using modern methods to support his work so has to financially limit and silence his work. Your generous gifts to Dr. David Duke and his work are now very much needed ! 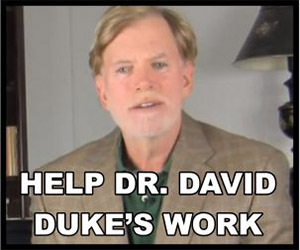 Please make a personal gift to Dr. Duke now so he can continue his absolutely vital work!